This 40 years old coffee house used to be located at Shaw Tower and is named after the now-defunct Prince Cinema where they stayed for 13 years. 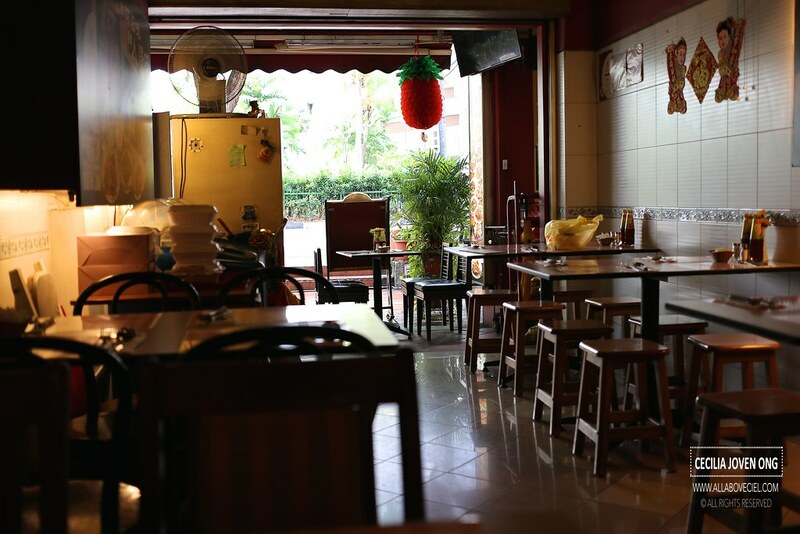 They then moved to Coronation Plaza at Bukit Timah for 22 years before moving to the current location for about 5 years now. I was their only customer at 11.15 am and i was greeted by the elderly Jimmy Lim, 72, he is one of the owners that has been with the coffee house since 1977. He used to be the Head Waiter before he bought the business with his partners when the original owner retired. Though i have not been here for a while but it is still the same familiar coziness that is so welcoming. The last time when i visited was for my article on Makansutra. Set lunches serve here on the weekdays from 11.00 am to 3.00 pm. Chicken Cutlet is served on Monday, Pork Chop is on Tuesday, Grilled Fish on Wednesday, Chicken Chop on Thursday and Fish & Chips on Friday for only $8.80+. 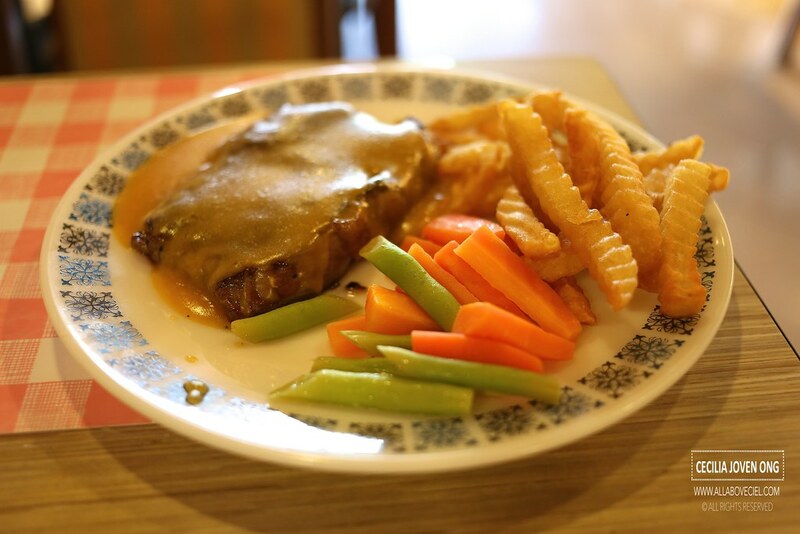 Alternatively, they also serve air flown Sirlion Steak at $13.80+ from Monday to Friday during lunch. You could also choose a al-crate dish and then add on $4.00 to make it a meal. 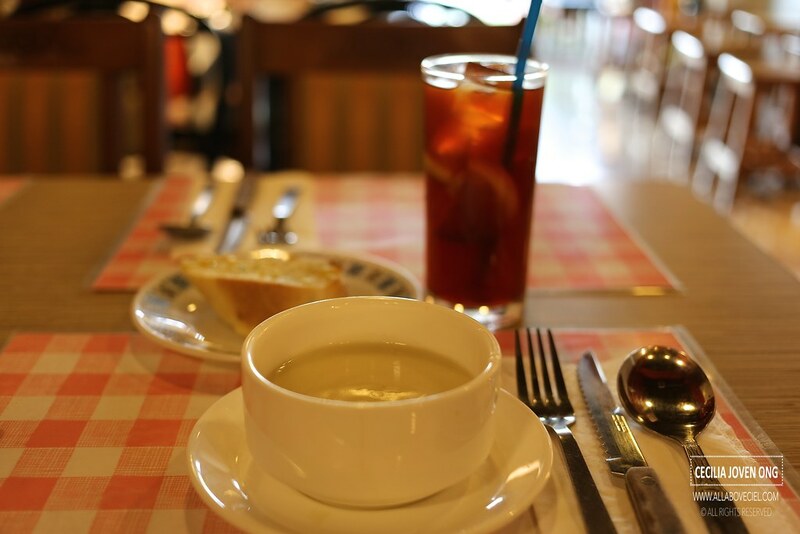 Their lunch sets include a soup of the day, drink and dessert. Their prices have not changed in the last couple of years. 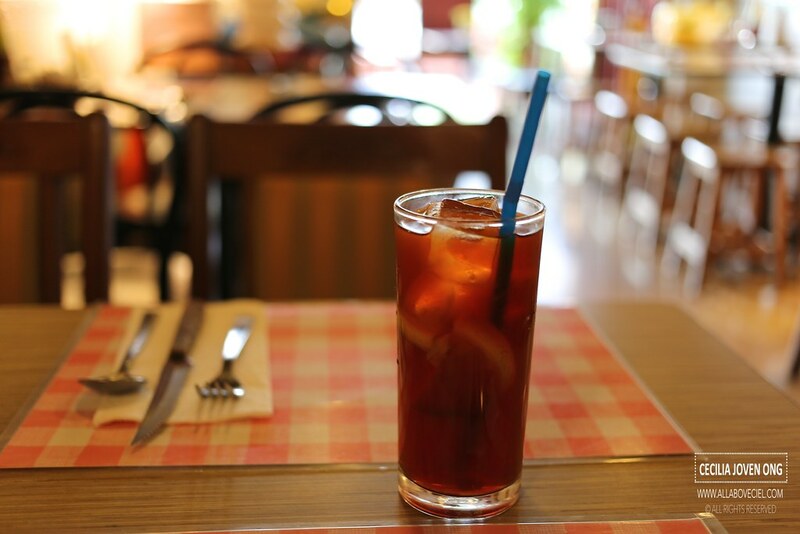 I opted to have Ice Lemon Tea to go with the set lunch. It came rather quickly followed by the soup of the day, which was Cream of Chicken that is served along with a piece of garlic bread. Next, came along the Sirlion Steak with fries, carrot and long beans on their decades old Pyrex plate. 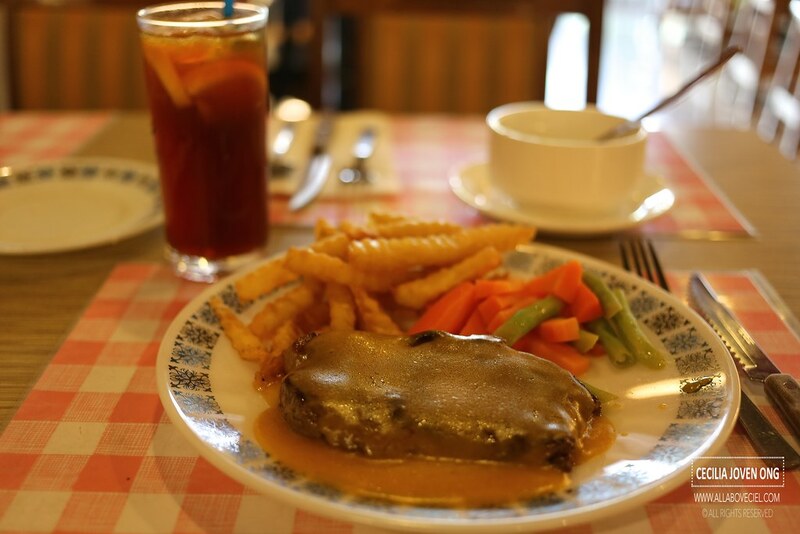 The steak was nicely done at medium to medium-well that still have its tenderness and is served with their signature brown sauce. When a serving staff came over to clear my plate, i asked to take away 2 Chicken Pies with a Yam Cake. While waiting for the orders to be packed, Uncle Jimmy came over with a tray of different types of desserts consisting grass jelly and cut fruits. I picked the cut papaya from there. When leaving, he was waiting by the entrance just to say thank you and followed by 谢谢 in Chinese. It is that feeling of such old school heartwarming service that is always leaves an impression. 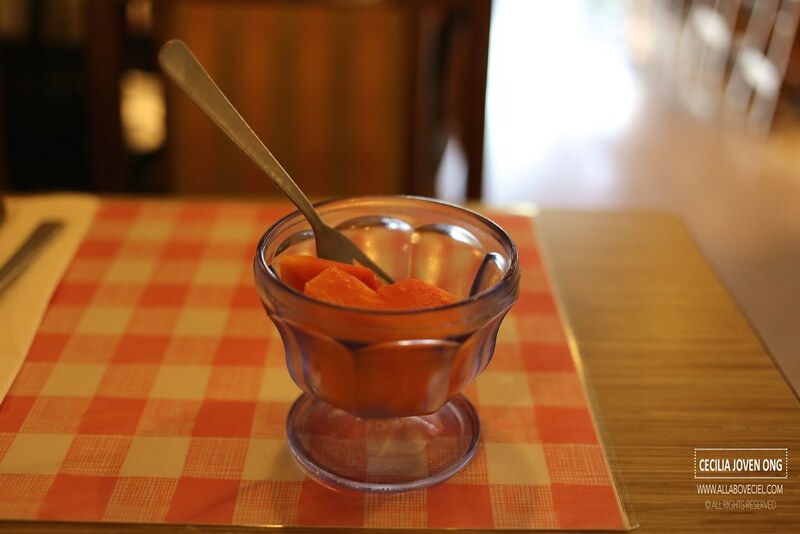 And, this is often missing in most modern eateries that is usually focus too much on efficiency and quick services thus ended up becoming cold and impersonal. this sounds like such a gem. Your writing captures perfectly the nostalgia the place evokes! Now I want to visit it soon!